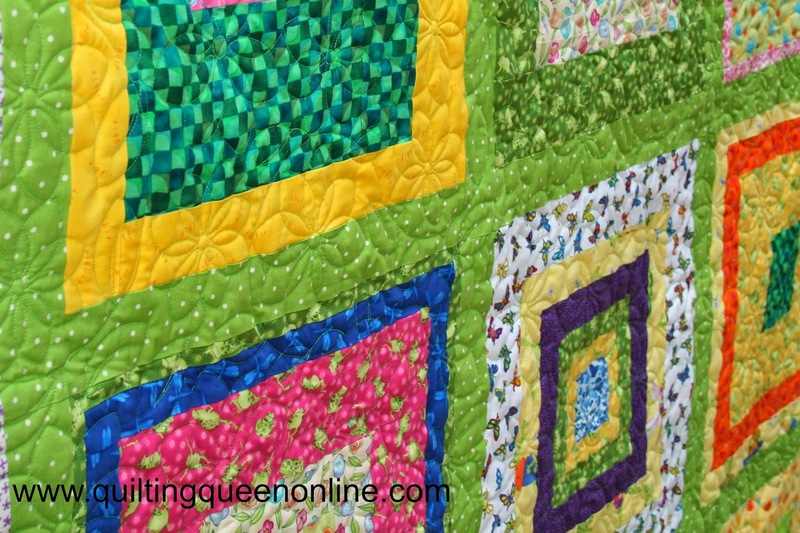 I was sorting through my photos and realized I have a couple of quilts I haven't shown you that I quilted for my customer Rhonda in San Antonio. 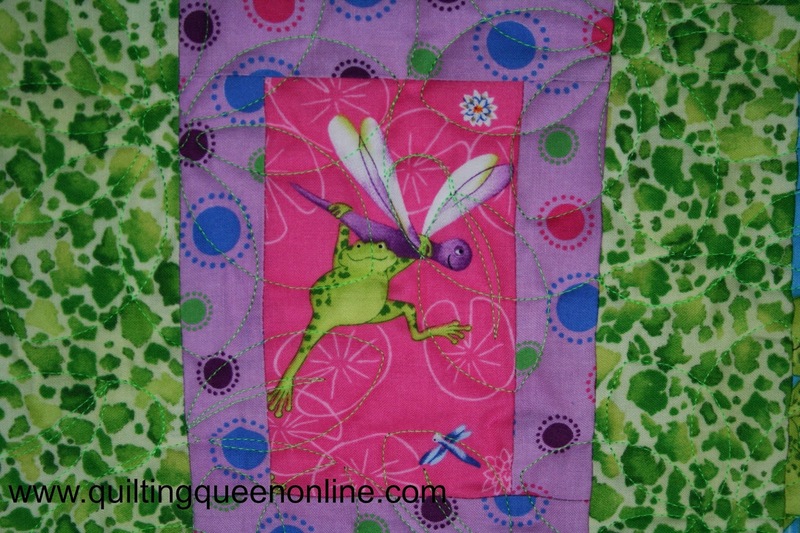 Isn't this a fun and happy quilt? 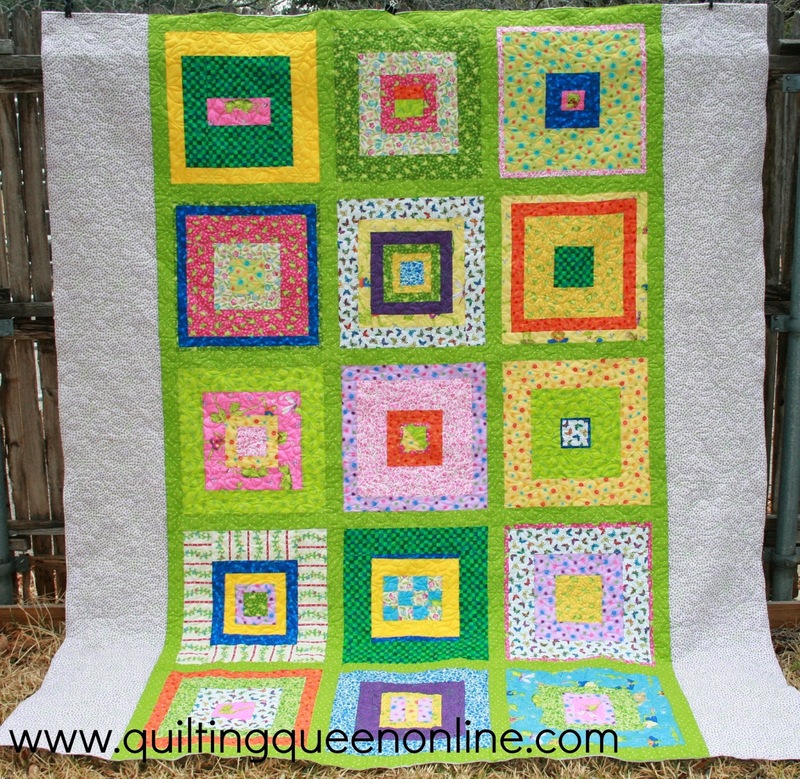 I love how she took the focus fabric and centered it in the blocks. 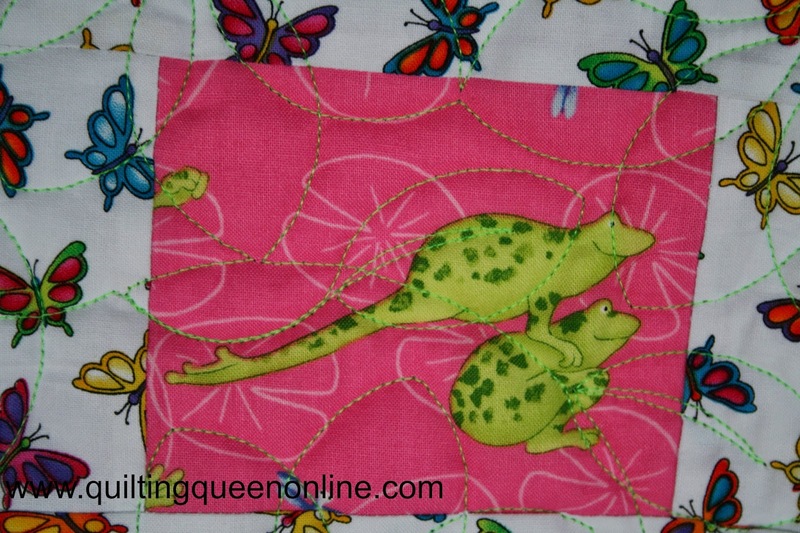 Those frogs are having the time of their life! 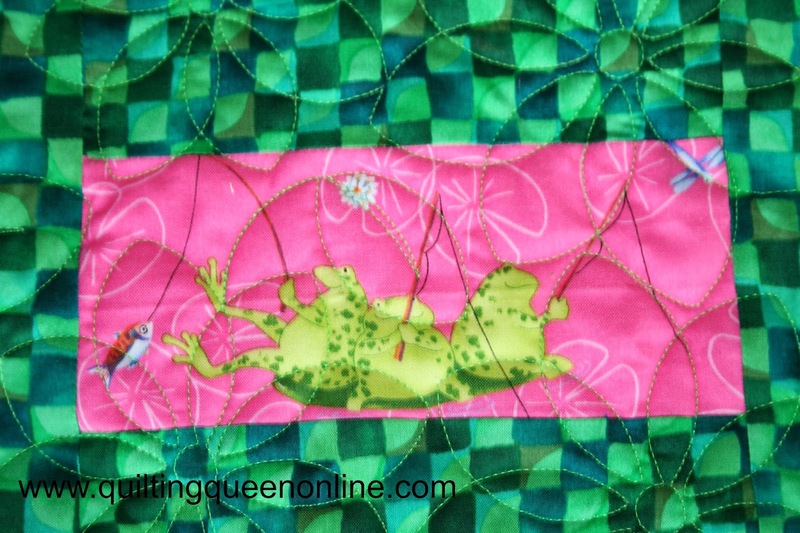 I quilted this flower pattern in kiwi green Glide thread. 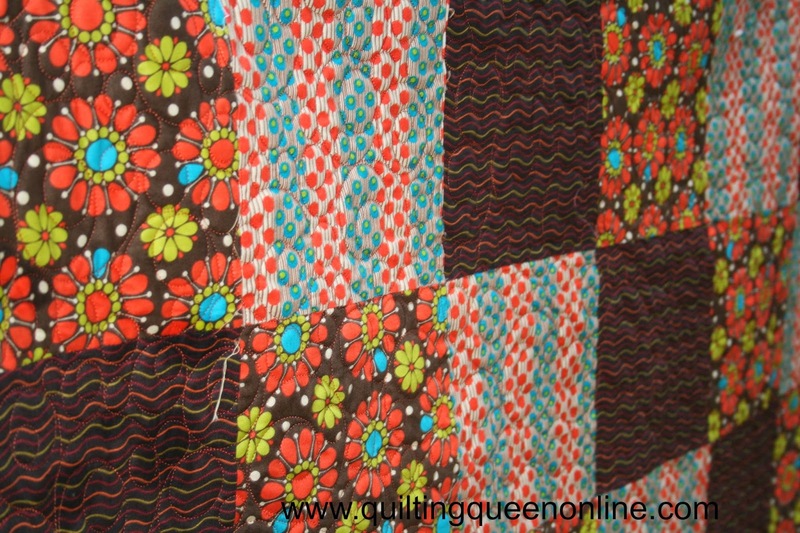 And what a modern vintage 70's feel to this quilt. 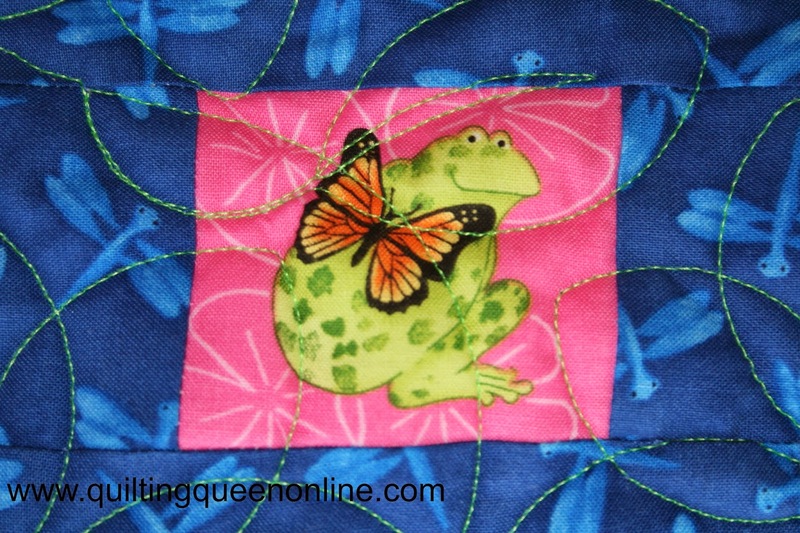 The fabrics reminded me of an outfit I had when I was 10 or 12 years old. 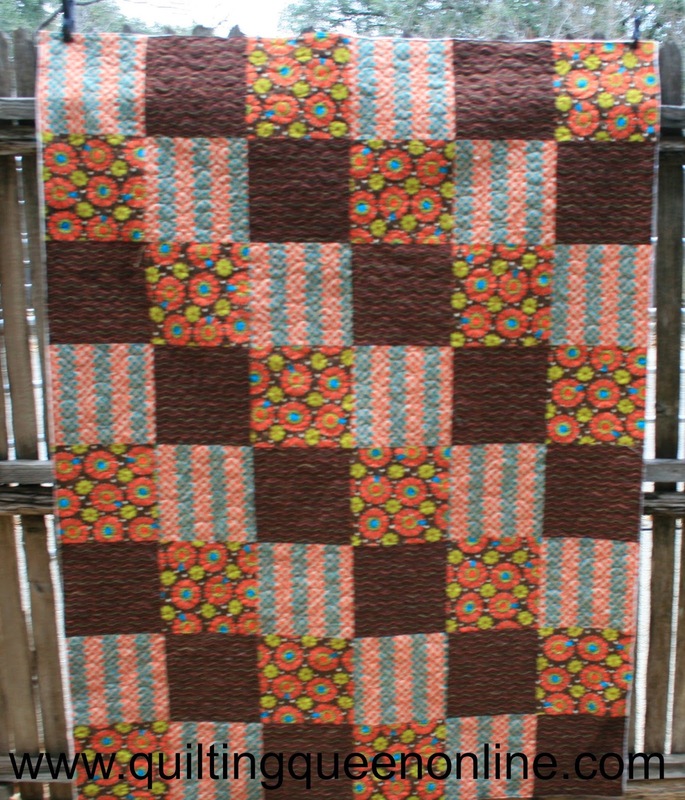 I quilted circles all around in terre cotta orange thread.